Three of our clients, Leah Moore, Stephen Colfer and Clodagh Mooney Duggan, will be involved in this year's inaugural Smock Allies Scene + Heard with their respective shows: 'Lyrics', 'Gulp', 'The Devils Door', (Leah Moore), 'Couples Counselling', (Stephen Colfer) and 'Tryst', (Clodagh Mooney Duggan). Best of luck to all involved. Tickets available here. Congratulations to the cast and crew of Cumann na mBan - Mná na Réabhlóide - Genefile on their IFTA Award for 'Specialist Factual' and specifically to our ReActors, Clodagh Mooney Duggan and Jessica Freed (pictured), that were among the cast. It's an excellent achievement as Stephen Fry and Gay Byrne were also nominated in this category. Congratulations to Cumann na mBan - Mná na Réabhlóide - Genefile on their IFTA Nomination for 'Specialist Factual' and to the ReActors, Clodagh Mooney Duggan and Jessica Freed, that were among the cast. "...those who have never seen the play, here is an excellent place to make your first acquaintance with the brilliance of it. For those who have seen one or more previous productions, this production is well worth a visit so as to revel once more in the genius of Wilde’s magnificent dramatic creation." ReActor Clodagh Mooney Duggan is currently taking to the Smock Alley Stage in The Importance of Being Earnest running until August 22nd Smock Alley Theatre DON'T MISS IT! "...those who have never seen the play, here is an excellent place to make your first acquaintance with the brilliance of it. For those who have seen one or more previous productions, this production is well worth a visit so as to revel once more in the genius of Wilde’s magnificent dramatic creation." - No More Workhorse Review. 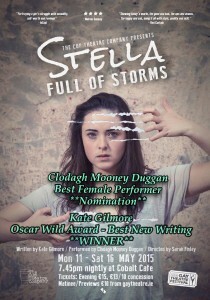 ReActor Clodagh Mooney Duggan was nominated for Best Female Performer for her portrayal of Stella in Stella Full of Storms at The Gay Theatre Festival Awards 2015. The Cup Theatre Company are thrilled to present their smash hit Stella full of Storms as part of the Dublin Gay Theatre Festival. 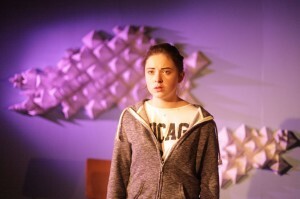 Running through until Saturday 16th May at 7.45pm in the beautiful Cobalt Cafe; ReActor Clodagh Mooney Duggan reprises her role as troubled 'Stella' in Kate Gilmore's darkly witty play about a teenage anti-heroine and the lengths she'll go to while addicted to her first love. Following on from the sell out run last year at Theatre Upstairs, The Cup Theatre Company present this re-mount alongside some of the very best in the festival this year. To celebrate INTERNATIONAL WOMENS DAY, Sunday the 8th March, a new docu-drama Cumann na mBan will air on TG4 at 7.15pm. ReActors Jessica Freed will play Kathleen Clarke and Clodagh Mooney Duggan will play Miss Brady. Congratulations to Clodagh Mooney Duggan, assistant director on Irish Theatre Awards nominated play PETALS. Huge CONGRATULATIONS to ReActor Clodagh Mooney Duggan who was Assistant Director on 'PETALS' Theatre Upstairs and Roadkill Productions, which has been nominated for Best New Play at the IRISH THEATRE AWARDS. 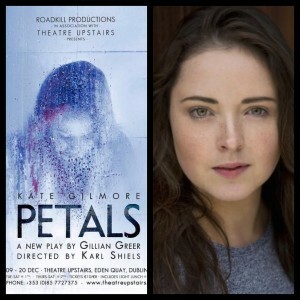 PETALS was performed by Kate Gilmore (a former ReActor who has also been nominated for her performance in Breathless - ORion Productions & Danú Theatre) and PETALS was written by Gillian Greer, directed by Karl Shiels.